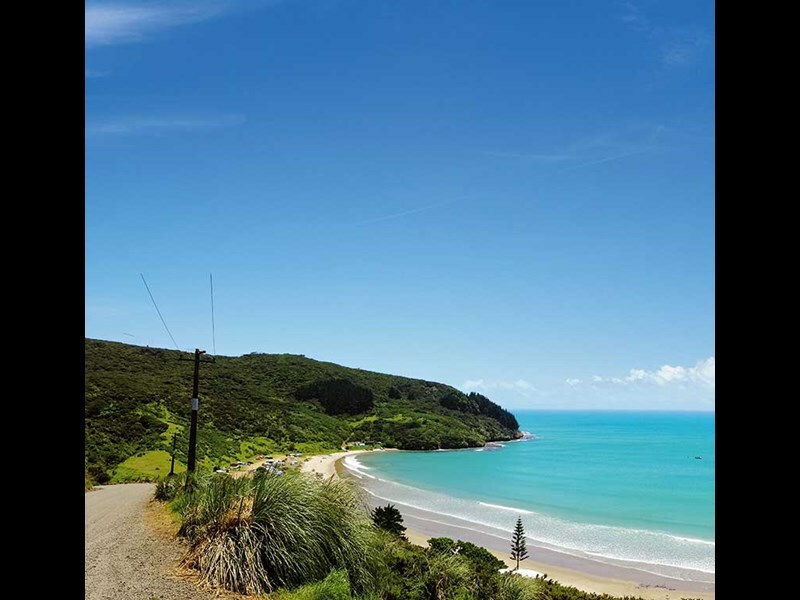 Jill Malcolm drives from kauri forests to kumara patches between the two vast harbours of the Hokianga and Kaipara and discovers isolated beauty and a haunted past. A long, luminous limb of sea crashes through the heads and licks its way inland into the convoluted indentation of the Hokianga Harbour. On its southern shore the water laps at the feet of the small villages of Rawene, Opononi, and Omapere. Sparsely populated and little advertised, the Hokianga, nonetheless, has a scattering of devotees who believe their home is heaven. We drove to the lookout (Arai te Uru) on the harbour’s south head to get a better view and to watch the sea battering in over a bar so perilous it was dubbed kaiwaka (canoe-eater) by early Mãori. The wind was fearsome and I can vouch for the fact kaiwaka also had an appetite for unsecured hats. There’s a village at Waimamaku. Like the other hamlets that dot the Hokianga area, it flourished during the time of exploitation of kauri for gum and timber and is now reduced to a remnant with a small Four Square store advertising Len’s pies, an old weatherboard hall (1906), a pretty red-roofed church, and the Nga Bush Bar and Grill, which promised us Carlsberg beer, but at 2pm was deserted. From here, the road climbs, carving through the groves of tousled trees that form the fringe of the Waipoua Forest. The great western kauri forests are as much a part of the Far North as sand and sea. I’ve been to Waipoua Forest many times and still never miss the chance to pay homage to Tane Mahuta (Lord of the Forest), a kauri tree now cosseted and revered but which would once have been only one immense kauri among many. Longer walks a little south of Tane Mahuta lead through galleries of trees to other bewitching kauri – Te Matua Ngahere – Father of the Forest (50 minutes), the Yakas (1.2 hours), and four trees joined at the base known as the Four Sisters. There is an information centre in the forest and self-contained motorhomes can park there overnight. For NZMCA members the cost is just $10 per vehicle. Further south again, a loop road leads to 500ha Trounson Kauri Park, New Zealand’s first ‘mainland island’ where introduced pests are controlled. The forest here was saved from the axe in the early 20th century, when the exploitation of these great forests was recognised and public protest eventually put an end to the milling. On the edge of Trounson there are two camping grounds. From here, there is an easy 40-minute walk through spectacular bush, past clear streams and some imposing kauri trees. At night guides take campers into the park to seek out kiwi, weta, bats, kauri snails, and glow worms. Two rivers gurgle obligingly around two sides of Kauri Coast Top 10 Holiday Park, providing swimming holes at various points. Here too, there is a two-hour guided walk through the ancient forest at night. Leaving the forest behind, the road winds through the hilly farmland settlement of Kaihu. A side road leads to the Kai Iwi Lakes in the Taharoa Domain. On this occasion we drove past the turn-off to Baylys Beach (there is another campground here) and across the dairy-producing and kumara-growing river plains to Dargaville. I like this flat little town on the bank of the great, wide, muddy-coloured Wairoa River. It has a fascinating history. If you have time, visit the museum, which has a nautical theme and will give you a great overview of the area. Further east at Matakohe, however, we made time to visit the settlement’s large Kauri Museum, where the times of timber and gum-harvesting in the giant forests come alive. There’s a huge display of kauri gum, the old post office and pioneer church (1867), and dioramas of a 1900s home fully-furnished in original décor, with models so real I felt I should say "excuse me" as I peered into their lives. Equally fascinating is the collection of thousands of bottles that a local woman called Hilda McCarroll unearthed from the Kaipara region, and in a newly-added 1900s two-story boarding house are models of travellers and dioramas of the rooms they have rented for the night. No room at the inn for us. We moved on and parked up for the night with friends who have a bach on the edge of the Kaipara. But we dined, as those early travellers might, on fish caught in the harbour and freshly dug kumara. The Kauri Museum at Matakohe is a must see. Pouto Peninsula: this wild and remote peninsula at the northern entrance to Kaipara Harbour has an extensive dune system and historic lighthouse. 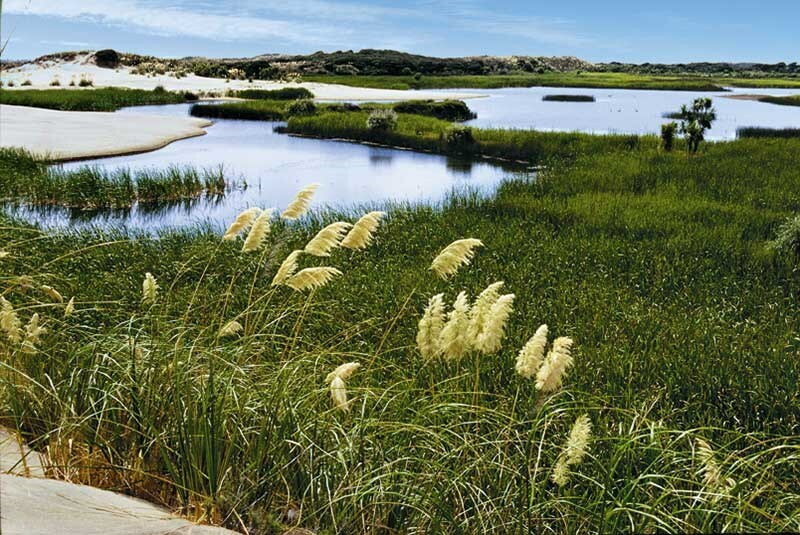 Kai Iwi Lakes: three clear, rain-fed dune lakes edged with white sand beaches and wetland, beloved by fishers and ideal for a range of water sports. The Kaipara Harbour: this is the largest in the Southern Hemisphere, with approximately 3350 kilometres of coastline comprising two briny arms and numerous quaint hamlets. 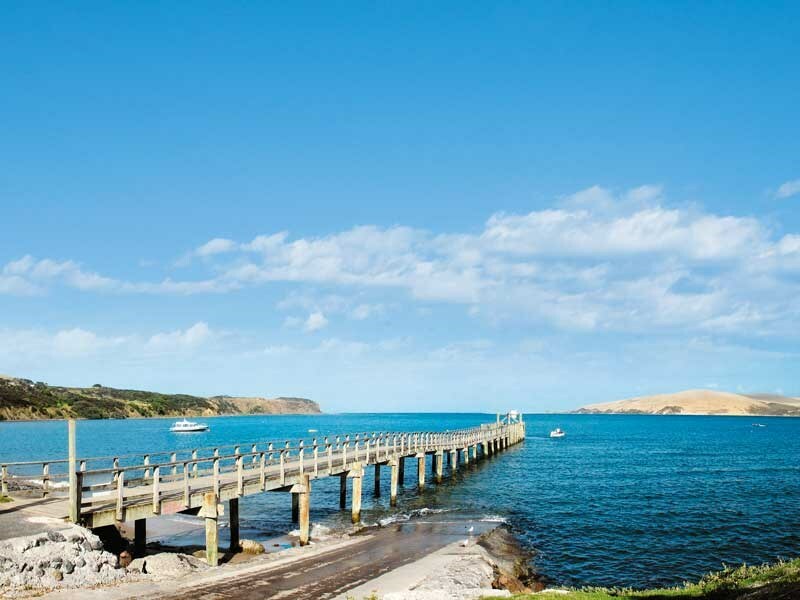 The Hokianga Ferry will take you from between Rawene and Kohukohu, a Victorian village that in its day was the largest social and cultural centre in the North Island.